With the lakes and rivers just at the outskirts of the city, Trivandrum backwater tours can be easily combined with city travel as well as beach visits. Backwaters of the regions that are worth spending time are Thiruvallam, Veli and Akkulam. And all of them are within 10 kms from city bounds. The main exception is Kappil, which is about 57 kms. Just six kms from Trivandrum city, Thiruvallam is a splendid land where rivers spread their silky touch around coconut groves. Killi and Karamana rivers meet here creating a placid backwater stretch great for canoe rides and house boat cruises alike. No wonder Thirvallam has become the top choice for Trivandrum backwater tours for many tourists who visit the district. The Parasurama temple on the banks of Karamana River is ancient and interesting. It holds the distinction of the only temple in Kerala devoted to Sage Parasurama, the creator of Kerala. Parasurama is an avatar of Lord Vishnu. As per Kerala mythology, Parasurama, once threw his axe over the sea.The axe traveled quite a long way. Land sprang up from the ocean till the point where the axe fell. That land is Kerala. A fun place for a bit of a time out, Veli has an 18 acre waterfront park and boat riding facilities. The sandy strip that separates Veli Lake from Arabian Sea is developed into a Tourist Village. 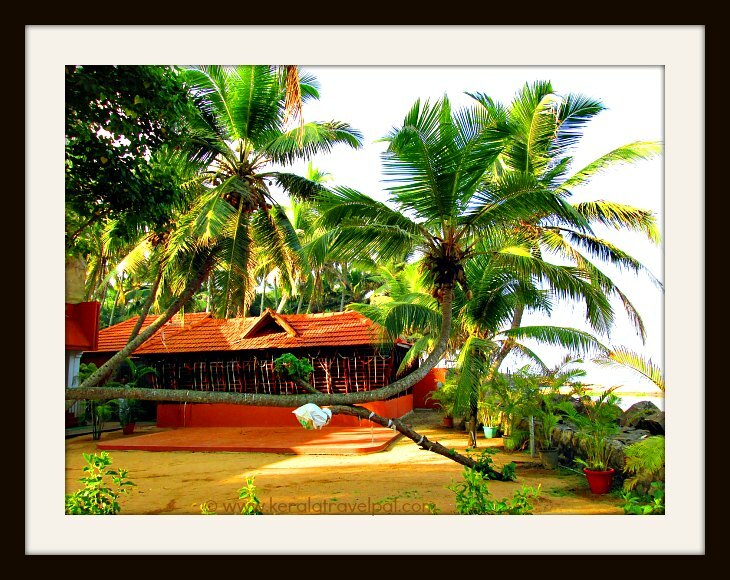 Veli Tourist Village is one of the major attractions around Trivandrum. It is great for family holidays, picnics, backwater rides and adventure water sports. Boating in Veli lagoon is the main thing to do here. There are some amusement activities, a children’s park and horse riding. There are also sculptures, a floating restaurant and a floating bridge. The floating bridge takes you to a beach. Veli is about 8 kms from Trivandrum city and just at the vicinity of Shanghumugham beach. Veli Tourist Village is open from 8 AM till 6 PM every day. 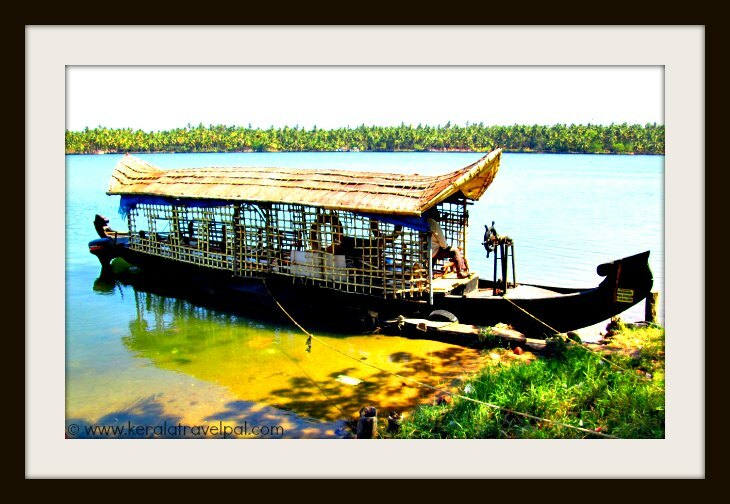 Akkulam is not too far from Veli and is on the same stretch of backwater. There is only a couple of Kms between the two. Akkulam experience is similar in many respects to that of Veli. Akkulam Lake, an extension of Veli Lake, is equally scenic. 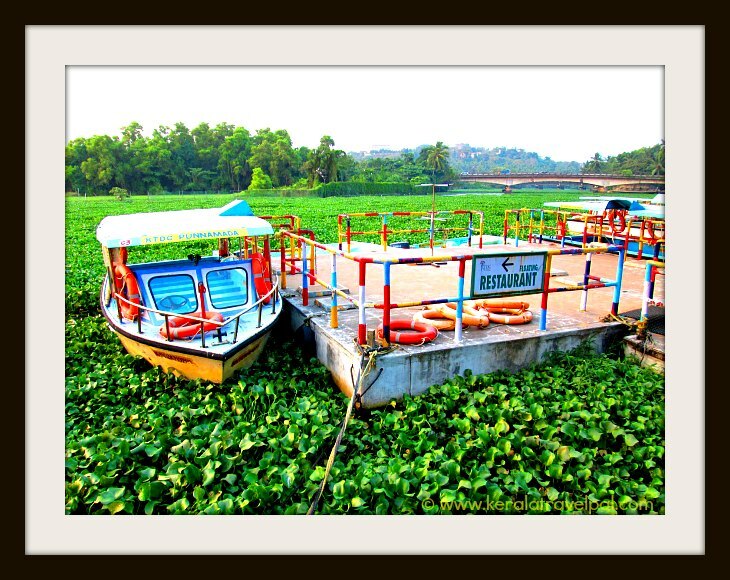 Akkulam boat club offers boats for hire. Many visitors find boating here a not to be missed experience and hence boating is quite popular. The children’s park here is quite big and is a hit among families. For those who prefer to take it a bit easy, there is a paddle pool and a swimming pool. Akkulam is about 10 Kms from Trivandrum City centre. One of the best backwater places is Kappil, about 57 kms south of Trivandrum. If you think that is too far, there is good news. Kappil is just 7 kms from Varkala beach, which you may have plan to visit. Kappil is the meeting place of Ocean and lake. Scenery is stunning. There is a small beach as well.